There are currently 4,769 users on this website. 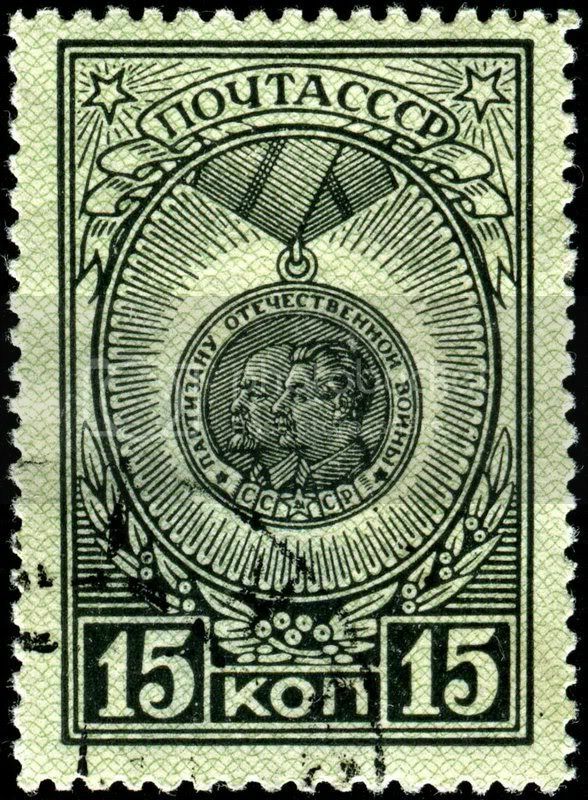 about them similar to these Austrian ones issued in 1922. Designer : Wilhelm Dachauer who worked until mid century. If I remember my printing days the "lino type" was cast either 70/30 lead/ tin or 60/40 lead tin allowing ease to carve and shape yet some hardness to last. I actually bought nearly a ton of this type and melted it all down into lures but have seen pcs that can be dated and placed to a certain image or event sell for moon money at auctions. Imagine the work involved type setting a full newspaper page line by line sometimes letter by letter. Even in stamp usage it looks like several different pcs went into the final image such as text and borders but I guess that could have been all done in one solid pc. Very interesting Lost art. Nitro thanks for your technical knowledge. at a print shop but it didn't happen. I think it worked out for the better though. in just about every print method available. such as Photogravure & Engraved, Lithographed & Engraved, Litho & Embossed, even Litho & Typo combined. For Expo 67 Russia issue 3 stamps in Lithography and a Souvenir Sheet in Typography. 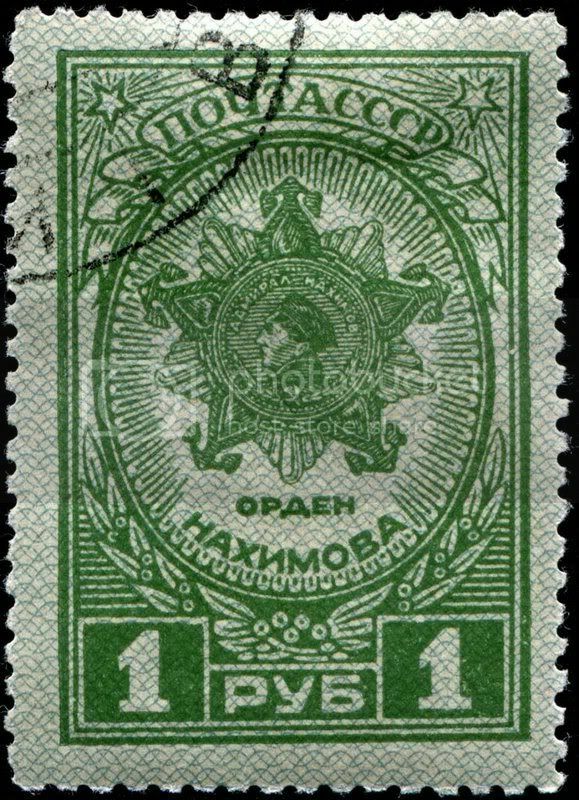 Relief printing, like line-engraving, can cause distortions in the back of the stamp as the raised portions of the plate press into the paper. 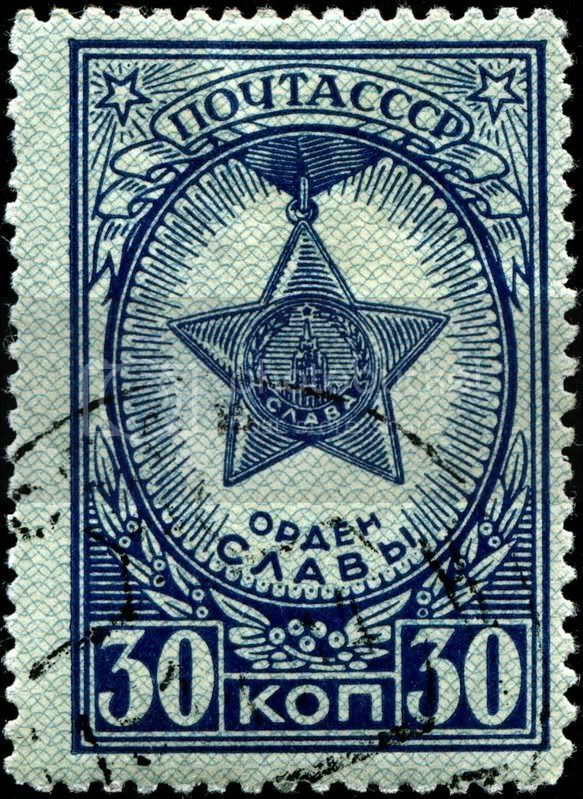 The distortion in a relief stamp, however, results in a raised image on the back of the stamp rather than a depressed image on the back as in line engraving. 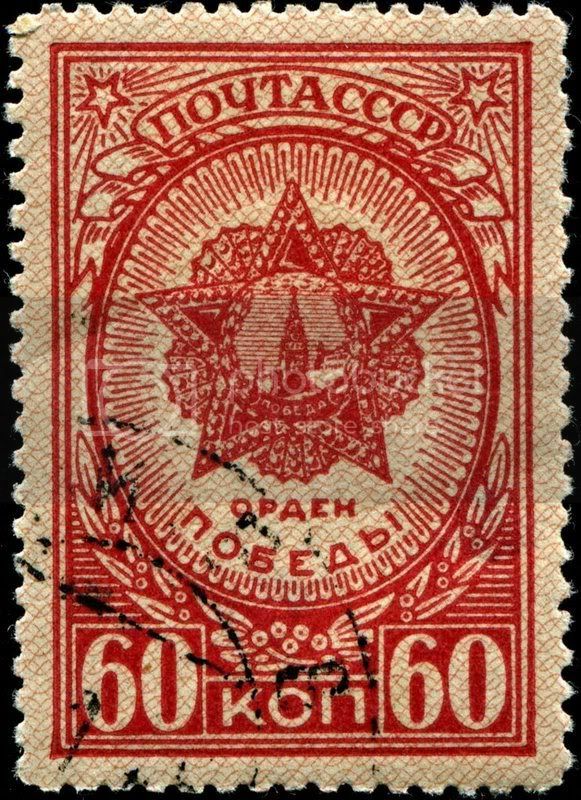 Another notable characteristic of relief-printed stamps is an excess of color around the edges of lines in the design. This is caused as the ink is squeezed outward and over the vertical edge of the printing surface when pressure is applied by the ink roller. When the paper is pressed against the relief, the excess ink at the edges of the design is transferred to the paper. This halo effect is usually evident under strong magnification. and the rigor of the printing process would quickly degrade the plate. Fine and intricate detail is virtually impossible with this method of printing. 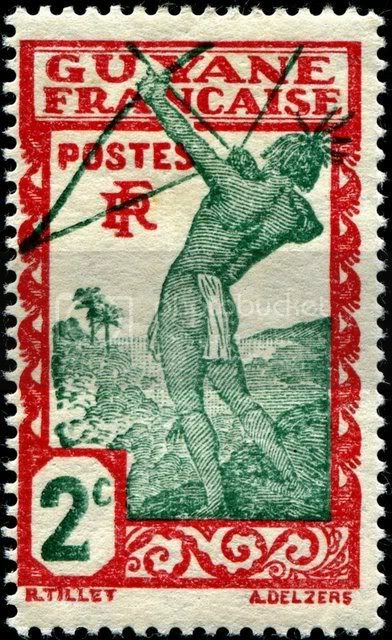 Here is an image of another old stamp from my boyhood collection: "Carib archer," designed by R. Tillet, engraved by Antonin Delzers, printed by typography, and first issued for use in French Guiana on February 4, 1929, Scott No. 110. I prefer Engraved to Litho personally but some have a certain charm. 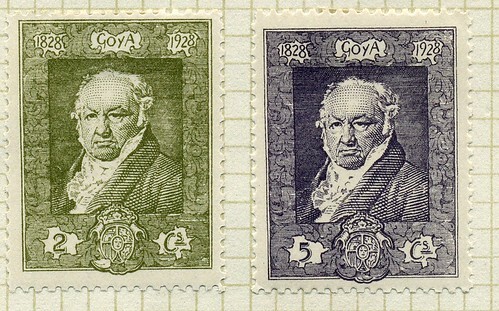 Here are some from the Goya set that included both Litho and Engraved and some featuring General Franco. Nethryk, the Madagascar Sakalava chief stamp is quite striking, it almost looks 3d! 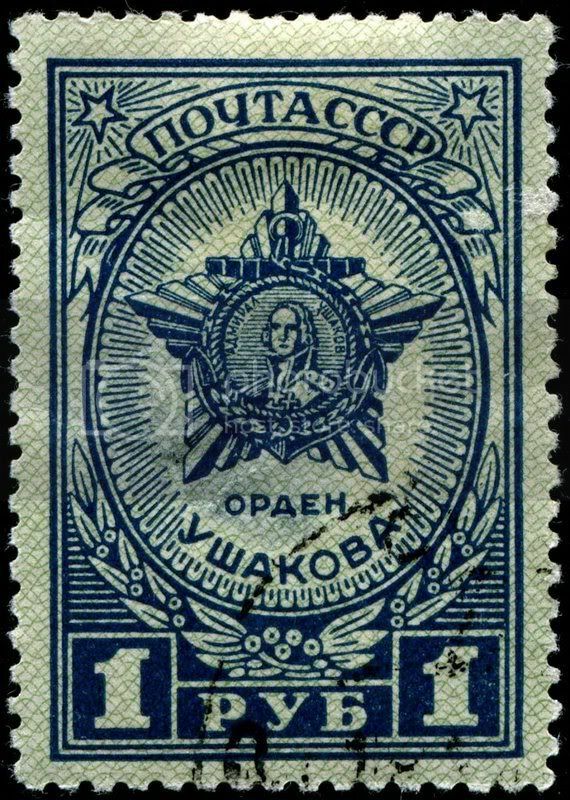 "The Postmark is Mightier than the Stamp"
stamps over typography or lithography. take nethryk's Carib archer for example. That info was from Scotts so could be incorrect but Edifil also says the same. This my favourite typograhy stamp. dye was produced from a local shellfish. I hope Her Majesty won't mind me showing the pic here. I did apprentice as a printer but on a large 5 color webb press to run newspapers and magazines. However I did play around with a few sheet fed presses that were 1 color at a time but being litho a quick ink and plate change and miracles appeared. The company had a type set press in the basement that was from an old newspaper company that literally was cranked by hand and I always wondered when they went bankrupt what happened to that beauty. The automation in todays print shops really makes me wonder how and why errors and even misregistrations occur on todays stamps. The last shop I was in with a new hiedelburg 6 station press was literally run from a control panel and would automatically allign and register within a minute or two. Sad but the craft is also mostly overseas like many other quality jobs. 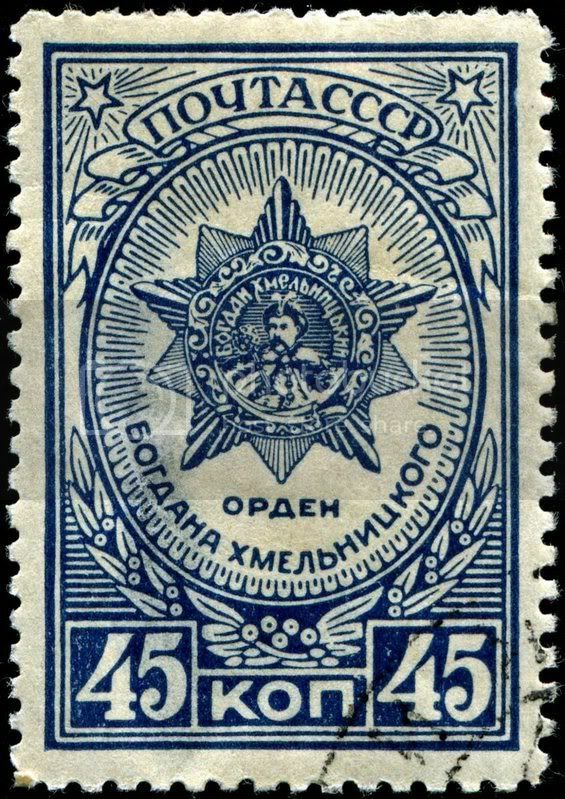 Medals and Orders of the Great Patriotic War, set of six stamps designed by A. Mandrussov, printed by typography, and issued by the USSR (Russia) on January 4, 1945, Scott Nos. 960-65.
as for example the 45k. Higher magnification would help though. and the blotchy effect on the red lettering. of the Soviet era. I find them Stalinesque. It took 1.19 seconds to lick this stamp.